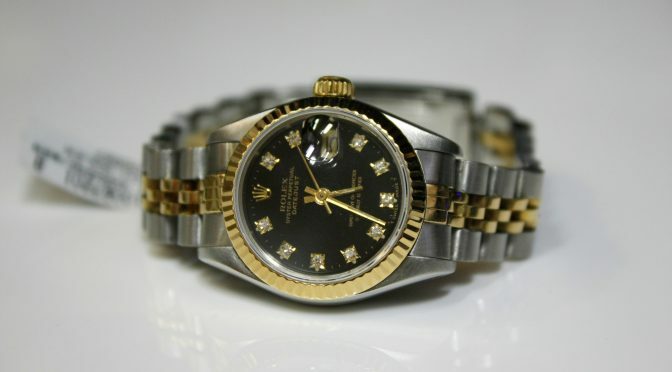 For this Deal of the Week, we have an elegant Rolex ladies Datejust in 18K yellow gold and stainless steel. A classically beautiful timepiece, this watch is highlighted with an original Rolex diamond dial with gold stick hour markers. 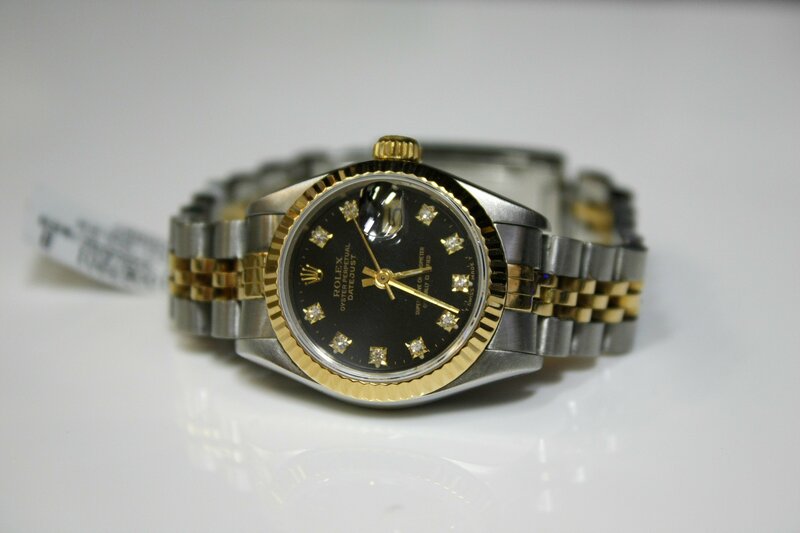 This Rolex is in very good cosmetic condition and has been professionally overhauled and polished by our in-house watchmaker.